Our body needs vitamins to grow, heal and function well. Vitamins permeate our food, where we consume them and let our body absorb them as nutritional content. In fact, vitamins are usually assumed to be obtained through ingestion, from vitamin-enhanced milk and cereal to a daily multivitamin that delivers a complete (or nearly complete) dose of most nutritional requirements our body has. In the field of vitamins, vitamin D is something of an outlier. Sometimes referred to as the “sunshine vitamin”, vitamin D is mainly synthesized through the absorption of sunlight on the skin. Sunlight contains a full spectrum of light, including ultraviolet -or UV- rays. There are three major types of UV rays from sunlight: UVA, UVB and UVC. The three types of UV all have different effects on human skin. UVC is the most dangerous form of UV, but luckily UVC cannot travel through our atmosphere to reach us. Today, people are only exposed to UVC if they work around welding or mercury lamps which give off UVC. On the other hand, UVA accounts for around 95% of the UV radiation hitting the Earth’s surface. The waveform of UVA radiation is able to pass through windows and cloud-cover and can penetrate the second layer of the skin, causing skin damage and wrinkles as well as tanning. UVB accounts for the 5% of UV remaining that we are exposed to. UVB is a bit more intense than UVA, and can do a different sort of damage to the skin. UVB is responsible for sunburns on the skin and can contribute to the development of skin cancer. Despite these dubious traits, UVB is also the type of light we need to synthesize vitamin D in our bodies. Vitamin D is made when UVB rays from the Sun convert cholesterol in the skin into a valuable nutrient. Vitamin D from the sun is the most natural way of obtaining your daily dose of the nutrient. Of course, some foods do contain a bit of Vitamin D within themselves, which we can consume and absorb. Fishes such as sardines, tuna, swordfish and salmon all contain some vitamin D. Similarly, cod liver oil, beef liver and egg yolk all carry some of the vitamin within themselves. Many other foods in the modern diet are fortified with vitamin D such as milk and dairy, as well as some grains and cereals. All told though, it is challenging to get your daily dose of vitamin D through food alone. Sunshine is the most efficient way to get vitamin D into your system. This can be especially difficult to do in places where the daylight hours shorten dramatically in the wintertime. Also, unlike UVA radiation, UVB cannot travel well through clouds making winter even a harder time for the body to convert enough skin cholesterol into the vitamin. A vitamin D deficiency is serious business. All vitamins play a role in how well our body and mind can function. When we have a low level of vitamin D, our bones and muscles suffer along with our mood and overall health. Vitamin D deficiency makes us vulnerable to depression, osteoporosis, muscle weakening and some cancers. Despite the strain vitamin D deficiency places on the body, it is incredibly common. By some estimates, over 40% of Americans have a vitamin D deficiency. If you have a low vitamin D level, there are a few things you can do to improve it. Adding foods with natural vitamin D or enriched with vitamin D to your everyday diet will help maintain a healthy level of the vitamin. Weigh the balance of getting more sunlight. 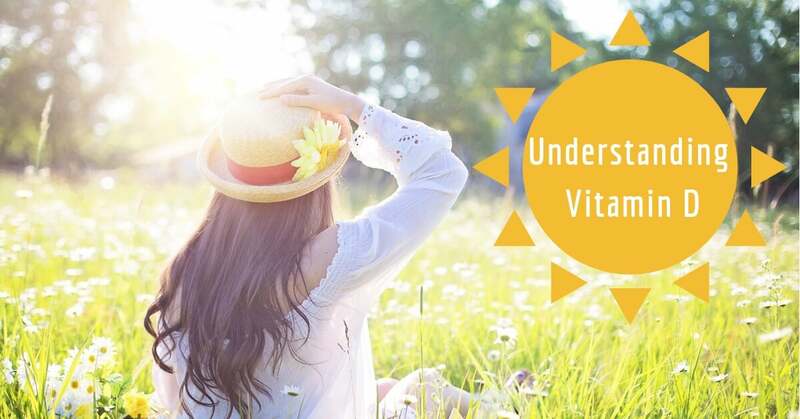 While overexposure to the Sun, especially UVB rays, can put you at risk of serious sunburn and skin health issues like cancer, exposing your skin to UVB rays is the easiest way to boost your vitamin D.
Sunlight exposure may not be the actual solution for many people. People with fair skin may risk burning quickly, while those with darker skin may need considerably more time in sunlight to absorb enough UVB. In overcast climates and during the short days of winter months, there may not be enough time with quality sunlight to make enough vitamin D.
Building the vitamin with the sun means that the more skin you expose, the more vitamin D your body can manufacture, but in a cold climate exposing more skin may be impossible. Luckily, dietary supplements are a low-cost effective way to get the nutrients you need.